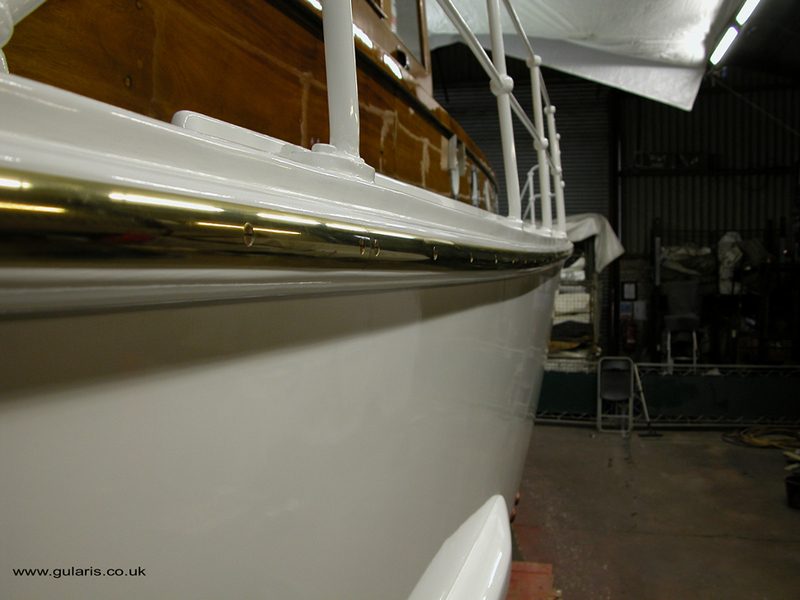 A number of top side splines were replaces and with some excellent asistance from boat builder Joe Irving at Draughtsman Yachts Barton on Humber a number below the waterline seams were expertly repaired. 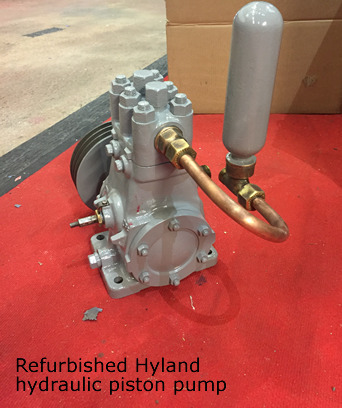 Main projects included complete refurbishment of the Hyland windless, pump and control valves, Gularis was used as a test bed for products of Charles Hyland and retains a number of his patented products so great care was required during the removal refurbishment and reistallation, I don't think this had been in working order since the early 70s so we were delighted to restore this full working order. 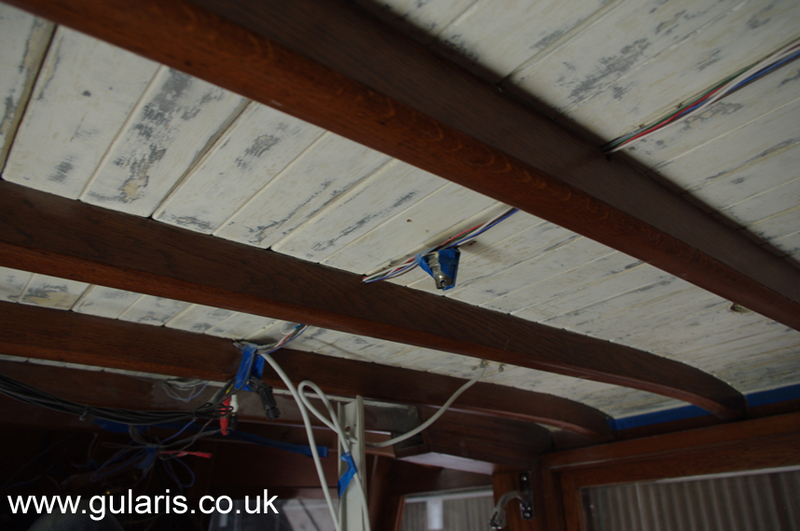 Bilges cleaned and repainted, a few topside splines repaired, awning replaced. 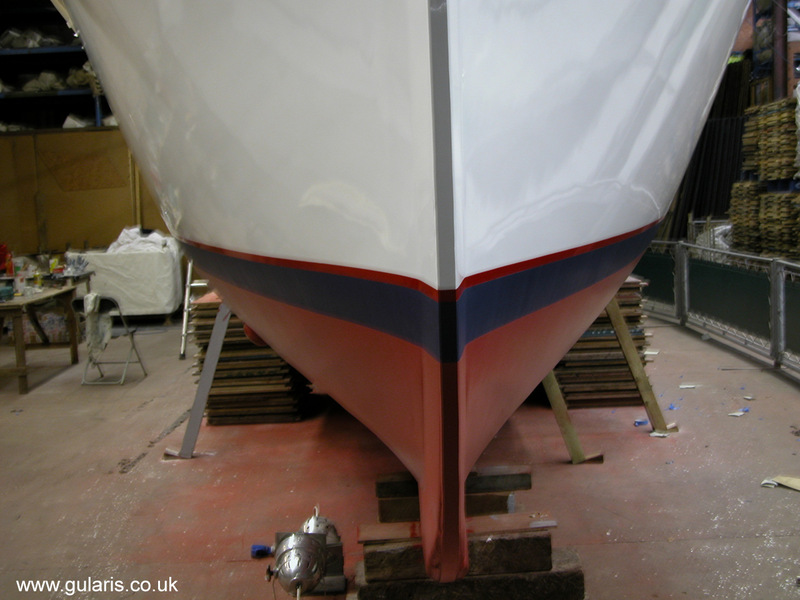 Work completed winter 13/14 included all external paint work, saloon roof (inside) was repainted and as with the wheelhouse roof considerable time was required in preparation of the match board roof, other saloon paintwork was the deck undersides and an area that had been painted at some point, was restored to its original varnished finish. 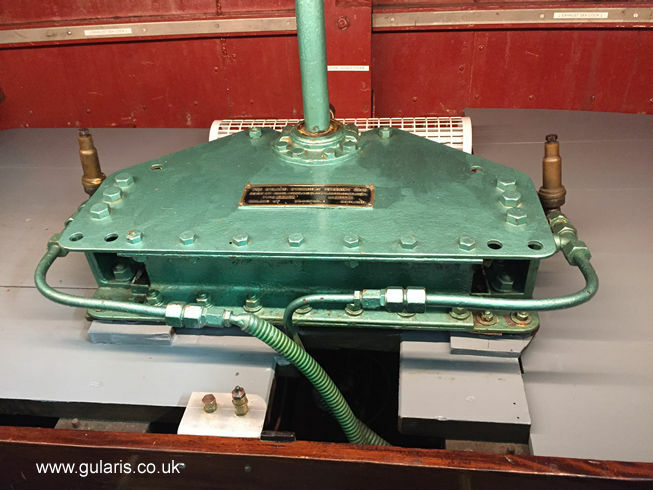 The topside splines repaired in 2011/12 remained in excellent condition so a number of additional sections received more of the same attention. 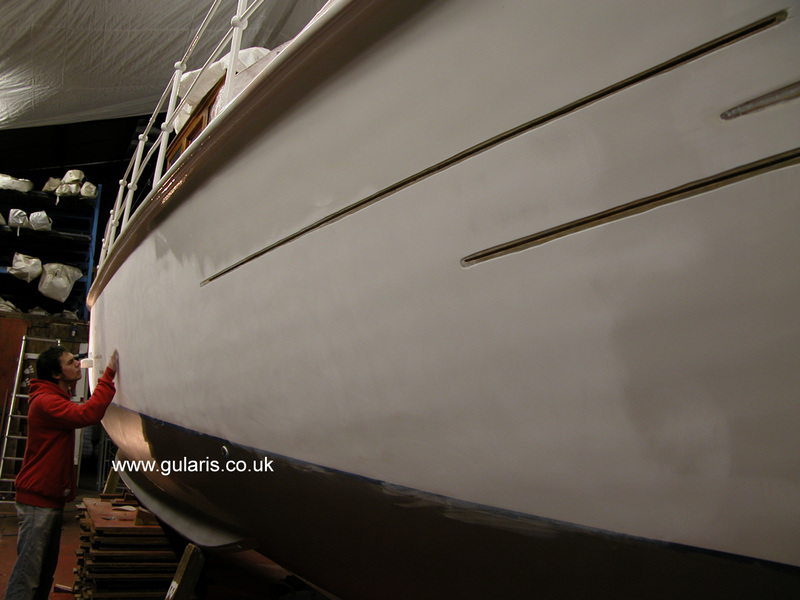 Gularis's 9' tender also soaked up quite a bit of time with repairs & repaint. 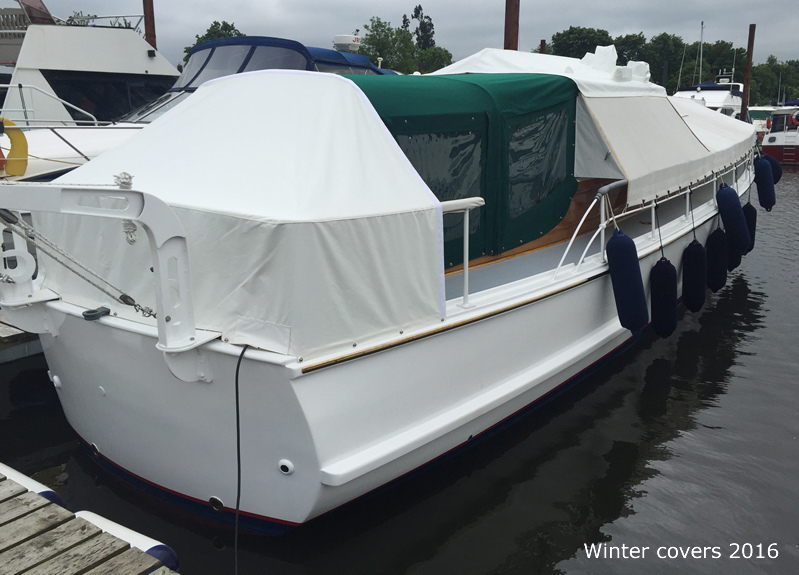 All winter covers replaced with a better (fire retardent) fabric. 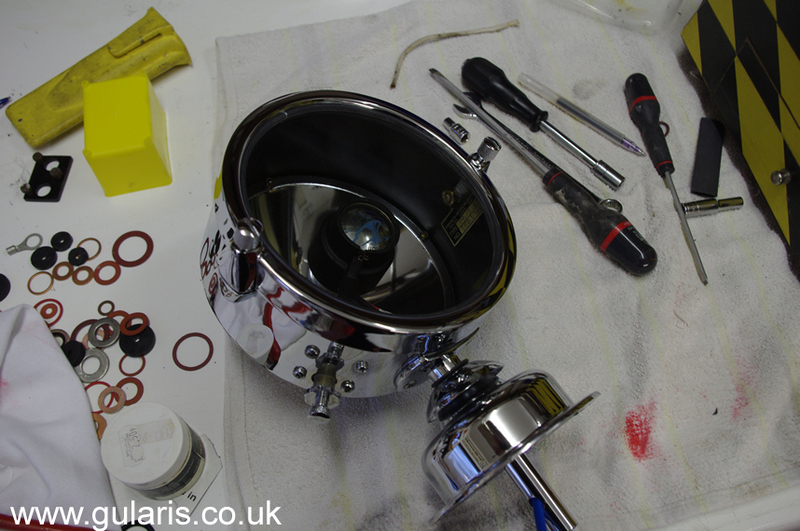 A new arrangement for the fresh water tank breather was fitted, engines serviced, fuel tanks drained. 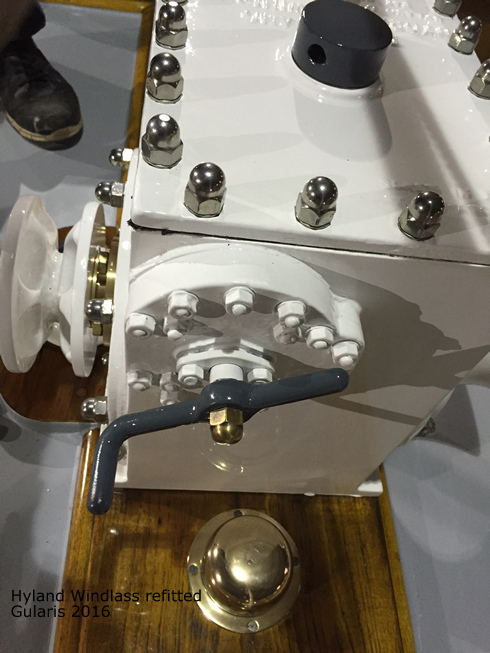 Work done afloat since May 2012 has included fitting a alarm system, after a fair amount of research into the various systems available a British made 'Monitor' (Nautilarm) unit was chosen. 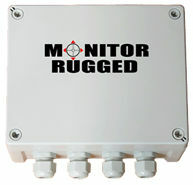 The system as well as its alarm functions is able to provide information by text such as position, bilge levels, battery bank monitoring, shore power status, and the ability to switch a number of circuits remotely, a hands free phone is also included. 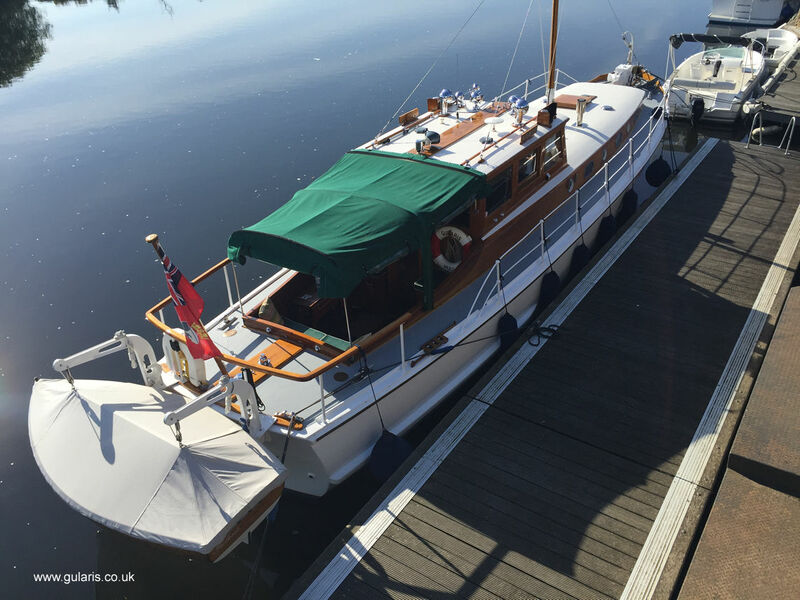 Fitting took quite a while mostly due to the difficulties of discreet installation in a 1930s boat, however the system has performed perfectly and the back up telephone support from the dealer (Myerchin UK 01305 251971 ) was first class. This winters work included replacement of galvanized rubbing strips (loss of galvanizing was making it very difficult to keep rust at bay!) 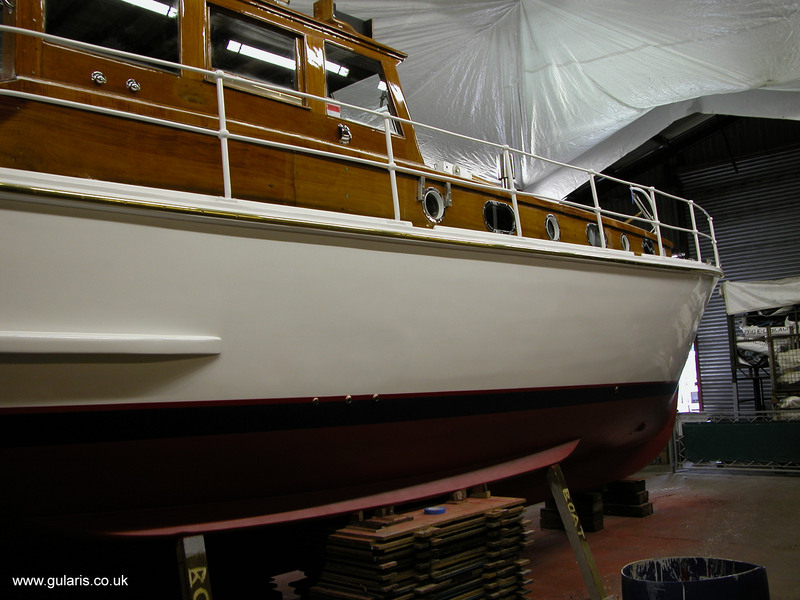 with brass convex, refurbishment of the Francis Searchlights and other re-chroming, all exterior paint & varnish work, internal work included wheelhouse match board roof refurbishment and the heads had a complete re paint. 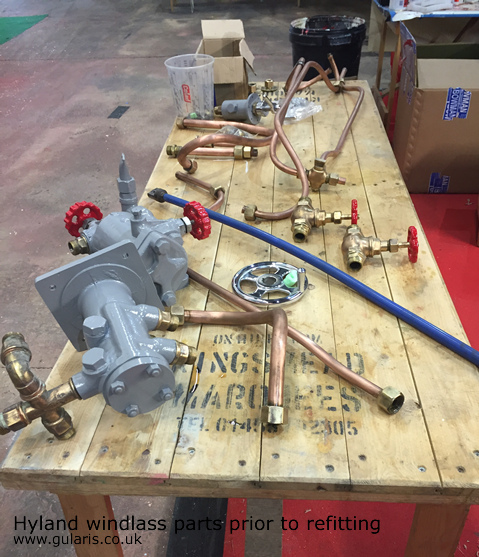 Galley taps replaced as was the water heater. 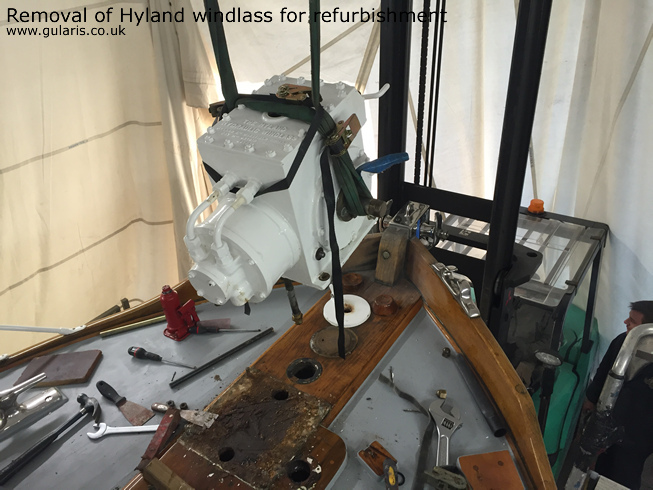 External work also included the replacement of a number of topside splines (using west system products to reset splines) Final section of rewiring completed. 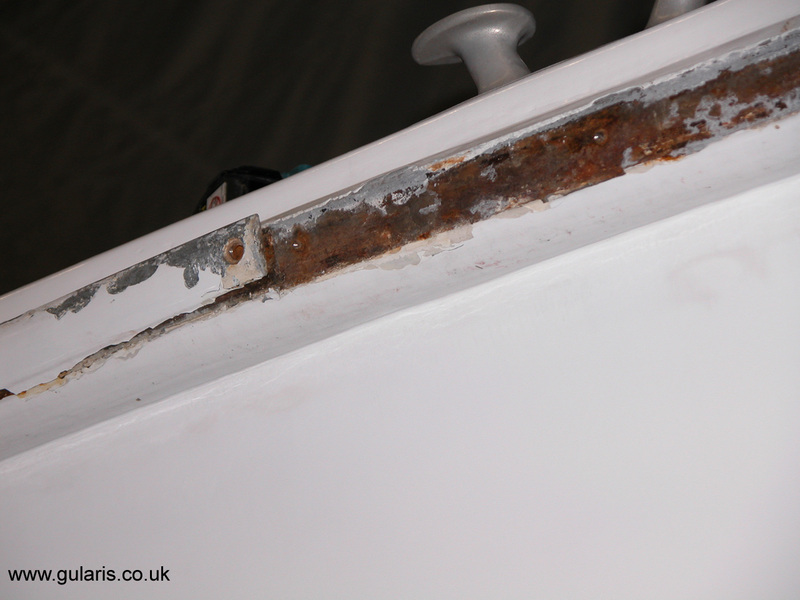 Winter 2009 / 2010 maintenance included all external paintwork / extended winter cover made / deadwood keel all old paint removed / Re-chromed parts / lighting & electrical work / aft deck refurbished / Both keelcoolers had to be refurbished as they were leaking, unfortunately a number of gland nuts had broken and the tubes could not be removed,it was decided to remove the complete units including the manifolds and fairings,this allowed the hull behind the units to be accessed and this area was taken back to the wood and repainted. 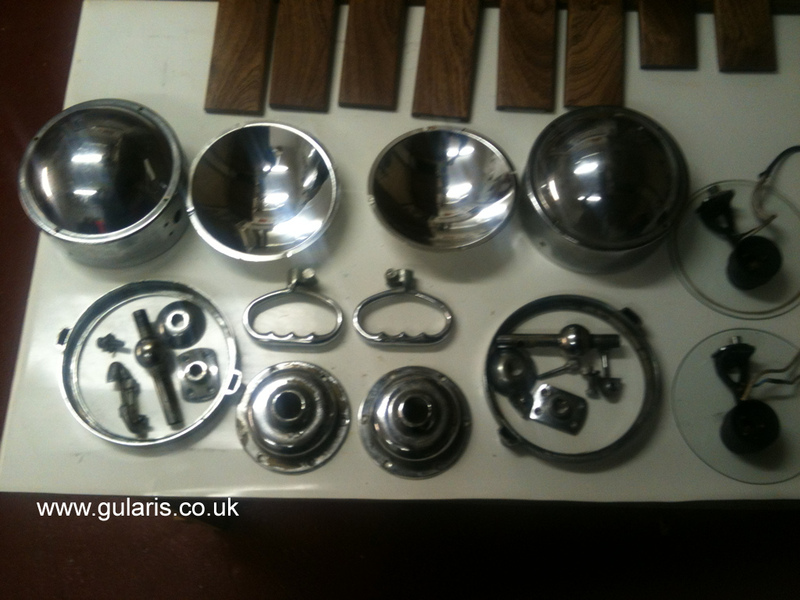 Finding replacement parts for the newage keelcoolers (tube / gland nuts / and seals) proved impossible, and apart from the admiralty brass tube, the gland nuts & seals had to be made. 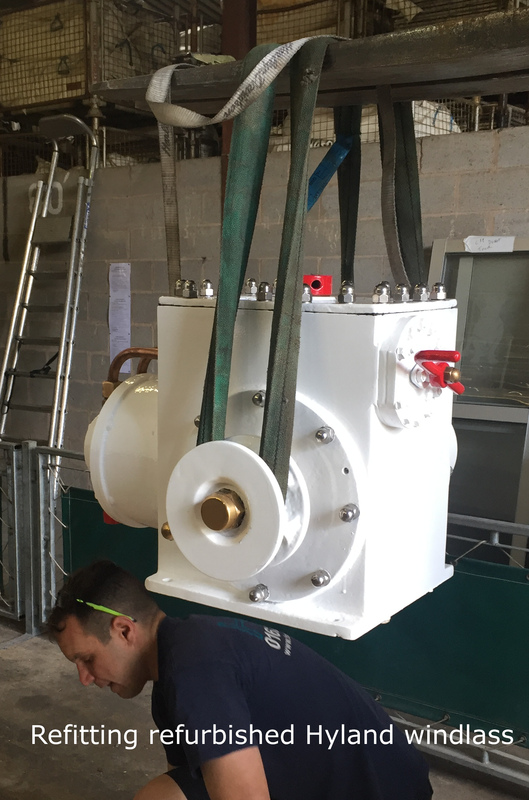 2007 / 2008 maintenance continued in Leicester with repairs to the hydraulic pipe work and new drive coupling for the hydraulic pump on the port engine, The 240V shore power installation was completely replaced and the fresh water tank was removed and re furbished. 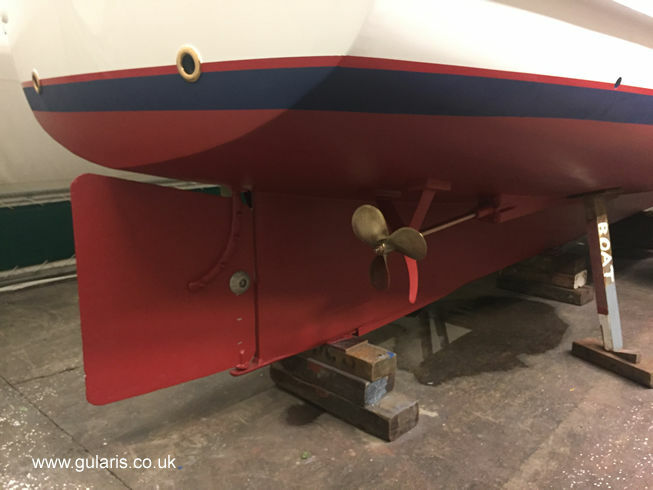 A winter cover was made that could be supported by an aluminium beam; this beam has a kader track to accept the covers and is fixed by using the existing cat davit and mast tabernacle. All external paintwork completed, Baby Blake toilet re built. / Cooker replaced as all burner taps leaked, 75% gas pipes replaced and tested, gas alarm installed.